My first trip to Puerto Rico highlighted the strong American ties. My second trip reminded me that Puerto Rico is still a Caribbean Paradise. Julie and I left the white sands and warm turquoise waters of St Maarten and Anguilla and landed in a very rainy San Juan. We skipped the city for now and got a taxi straight from the airport to the ferry dock at Fajardo. 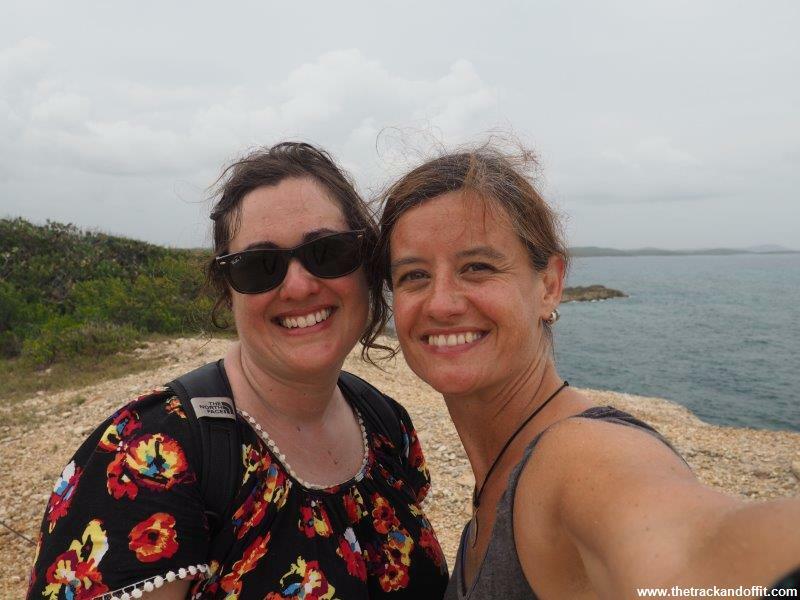 After eventually getting the phone number of our mostly Spanish speaking taxi driver (it’s a must to organise your way back to San Juan before getting on a ferry), we slipped straight on to the ferry to Vieques, a small island off the coast. There was a slight concern we wouldn’t get on board as in busy times visitors can be left behind if there are too many residents trying to get home. In the end our only concern was staying as far away from the obnoxious young American teenagers travelling with their mothers (seriously, have never heard a kid speak so badly to their parent). Despite the storm, the crossing was fairly calm and it was dry when we arrived in Isabel Segunda. The town is small. Hilly, but easy to walk around. There were only a few places open for food but what we found was good. It didn’t matter too much to us as the next day we got a bus and zipped over to Esperanza on the other side of the island. The roads were smooth but all the wild ponies hanging out by the side of the road caused a little bit of a hazard. I really liked Esperanza. Spanish sounding but Caribbean looking. The food was a mix of Caribbean and Spanish and everywhere had a clear view of the water. Perfect for indulging in some rum. We spent the first afternoon roaring around on the hotel’s electric bikes. They certainly made mince meat of the hills. But they were heavy and a bit uncomfortable. Still, quite a fun way to get around. We spend quite a bit of time soaking up the peace of the beaches. More white sand and warm water! 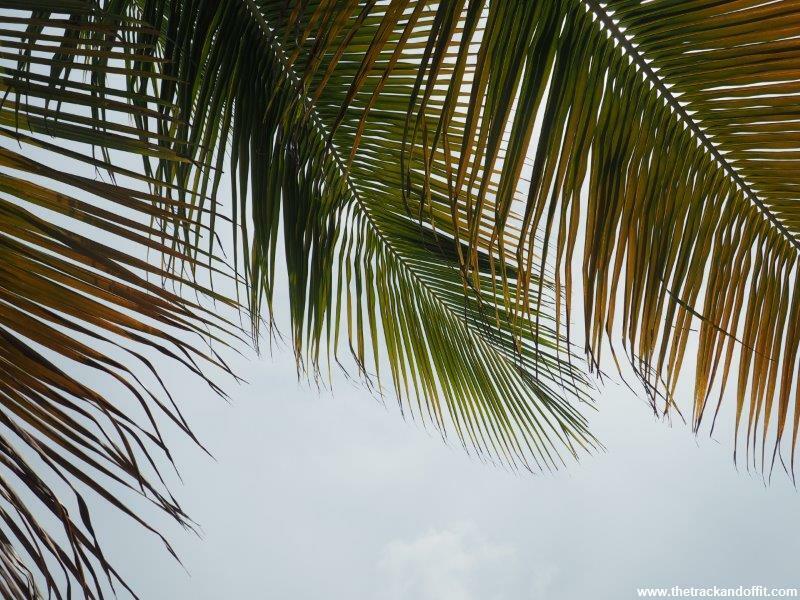 Lying under the palm fronds just felt heavenly. When we got tired of lying on the beach we explored an old fort. Was my skin really that colour? I guess that’s what two month in the Caribbean will do to you. 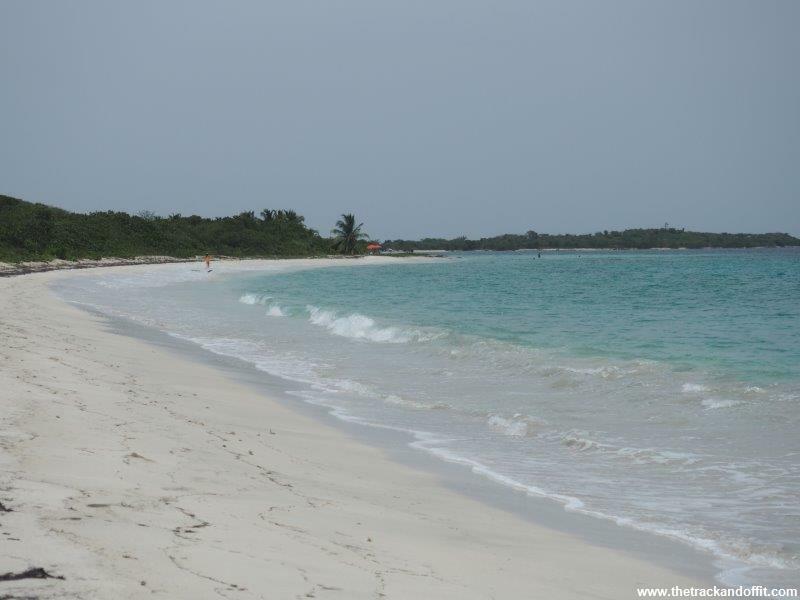 The main draw for Vieques, for us, was Puerto Mosquito, the bioluminescent bay. We spend an amazing dark night kayaking around the bay in a glass bottom kayak. It looked like little stars were flying by beneath us and every paddle churned up more of the lightshow. It was really peaceful and beautiful. Obviously, it was dark and wet, not exactly the best for photography. Just trust me and go there to see it for yourself (or Google Images, whatever). We explored under the water too, another way not to have any photographs. But we have excellent memories of starfish, lots of turtles, sea anemones and all sorts of tropical fish thanks to our fun, knowledgeable private snorkel guide. A day of actual bike riding rounded out our trip. 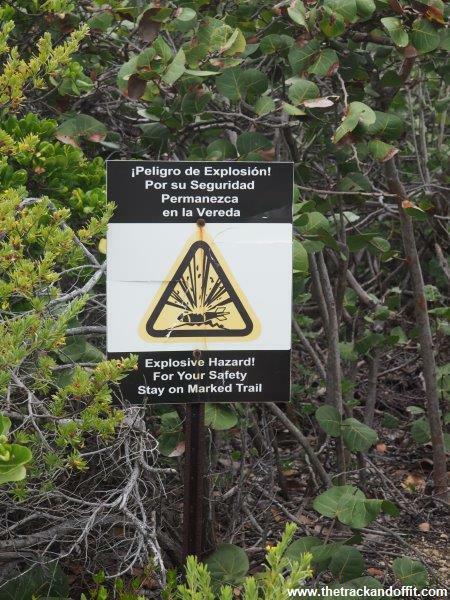 By the time we had to leave we’d cycled all over the island, explored old US army bunkers, chased away wild horses, were chased by annoying dogs (I really hate that), recovered by drinking some rum cocktails for happy hour and fortified ourselves with all the Puerto Rican food we could handle. 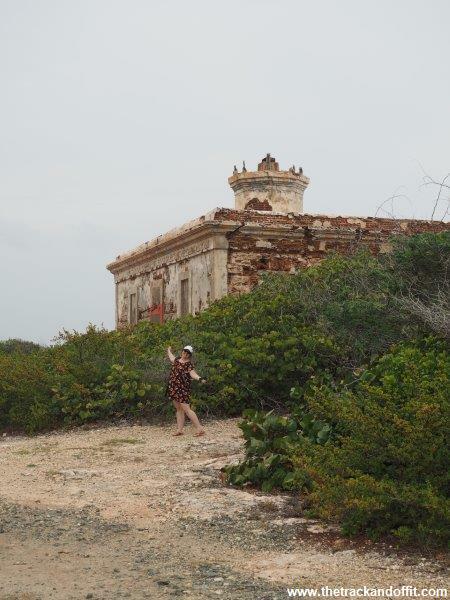 I really liked Esperanza and Vieques. I felt we got to know a little bit more about Puerto Rico (and eat a little bit more Puerto Rico). Good times.